Sometimes what we’d like to have is mostly outweighed by how much we can actually afford. 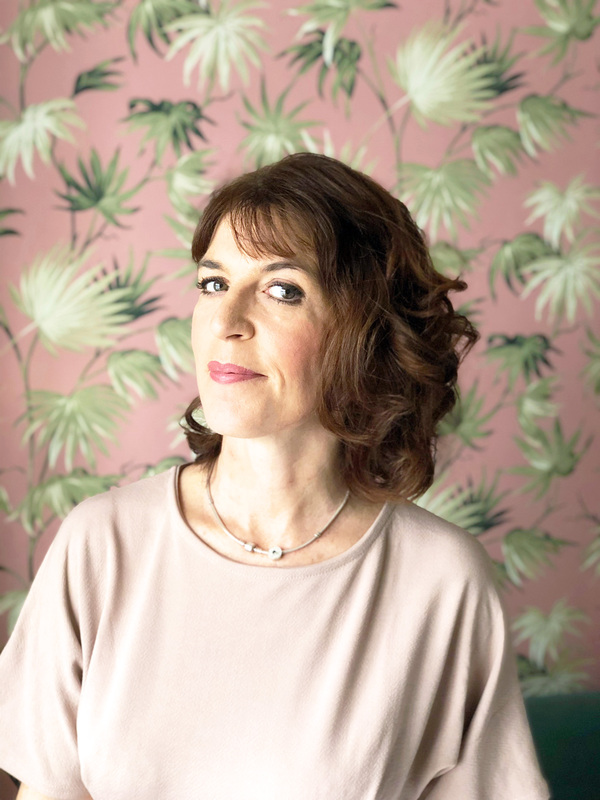 Looking at alternatives that are easier on the pocket, especially when you’re starting out or on a budget, can be your only choice in the matter. What’s great today compared to when I bought my first flat 26ish years ago is that going cheaper doesn’t necessarily mean you have to lack on style either. 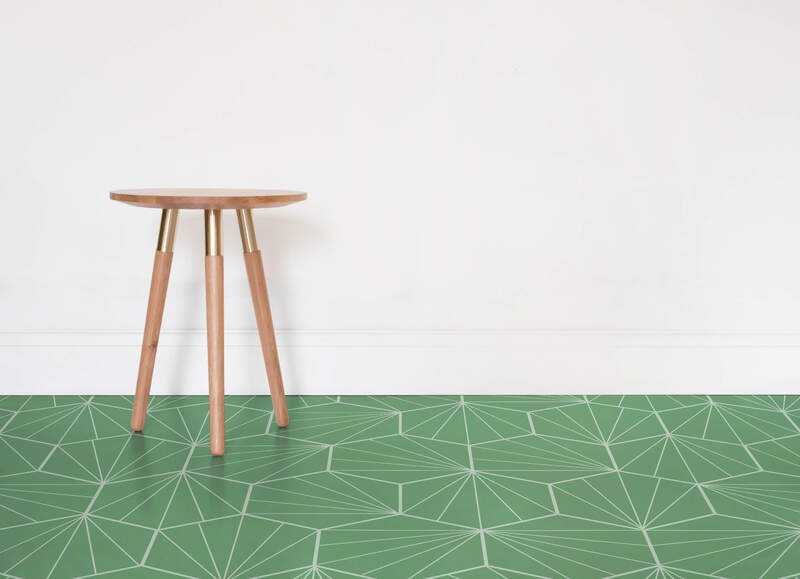 Flooring can be hugely expensive, so I thought we’d take a look at Vinyl today and why it’s a really cool alternative to other cheaper flooring solutions. Vinyl has always been an affordable flooring solution, but boy has it moved on from the standard black and white vinyl squares I stuck down in my dinky kitchen all those years ago. With some pretty damn cool designs out there, you’re going to be spoilt for choice too. Whats great is you don’t have to compromise on style or functionality! But first a little history behind this versatile flooring and, before you ask, no that’s not me in the picture above, I’m old but not that old (winks). Believe it or not, vinyl flooring has been around since the 1930s and was invented by accident by Waldo Lonsbury Semon, a researcher, who was trying to develop an adhesive to bond rubber to metal. 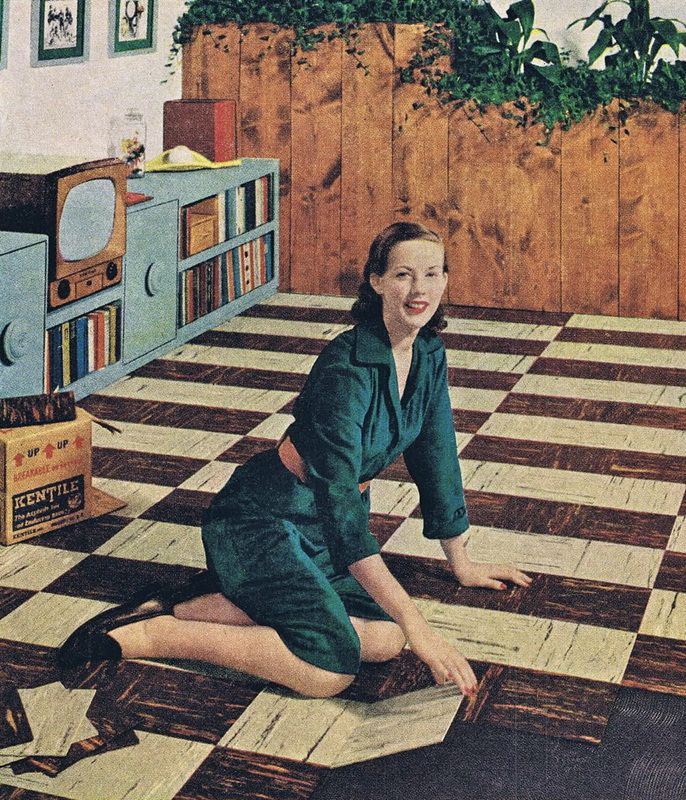 By the 1950’s, vinyl surpassed its competitor linoleum, becoming the best low-cost water-resistant and durable flooring. Further advancements in technology by the 1960’s, produced a vinyl that was easy to maintain and more comfortable to walk on. Vinyl literally became the second most popular flooring to carpet. Sheet – Sheet vinyl is ideal for high-moisture areas like bathrooms because it can be installed seamlessly. 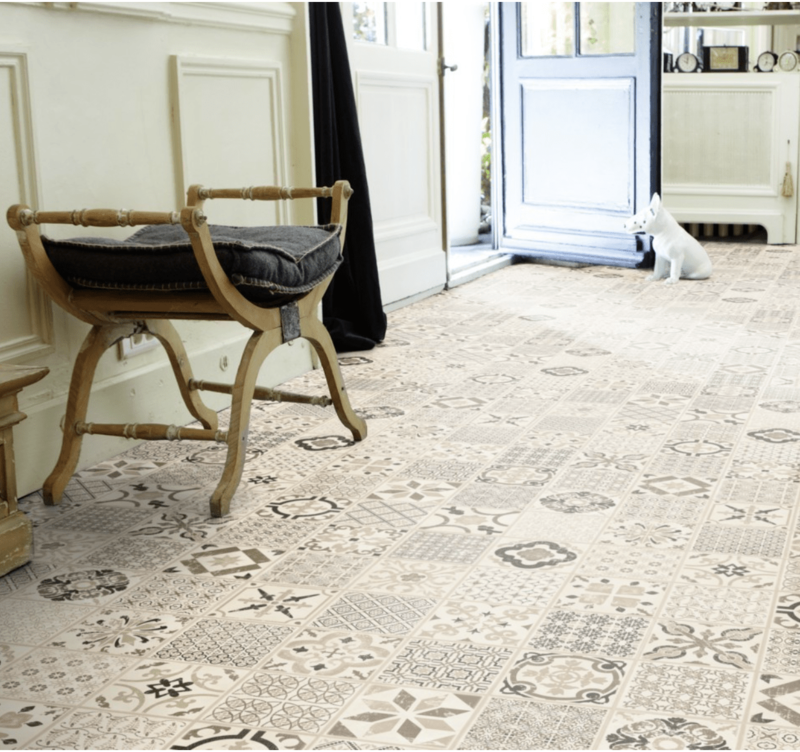 Tile – Manufactured to exact dimensions and thickness to give the finished floor a uniform appearance. Self-adhesive tiles are the easiest to install. 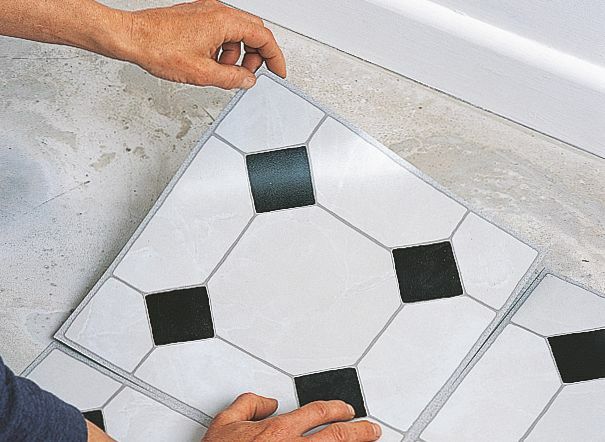 Precision cut tiles also make replacing damaged tiles easy. Plank has the look of hardwood but is much easier to install and maintain. It’s a lot less expensive too. Today’s vinyl has come on leaps and bounds with the advance of 3D printing technology. This method of printing adds depth and realism to vinyl to create realistic looking wood, stone and ceramic tiles. It also has an extra high-performance wear layer making it perfect for high traffic areas. 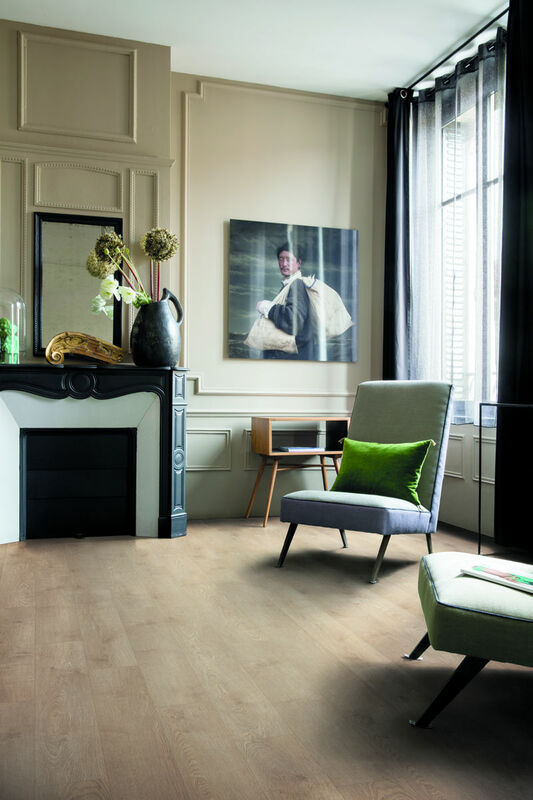 LVT also offers the option of a less permanent floor than wood or ceramic tile, especially with the growing popularity of floating LVT floors. I’m putting this one right up there as a self-confessed serial dropper of plates, cups and, well anything that is considered fragile. If you’re the same, vinyl may be your new best friend. 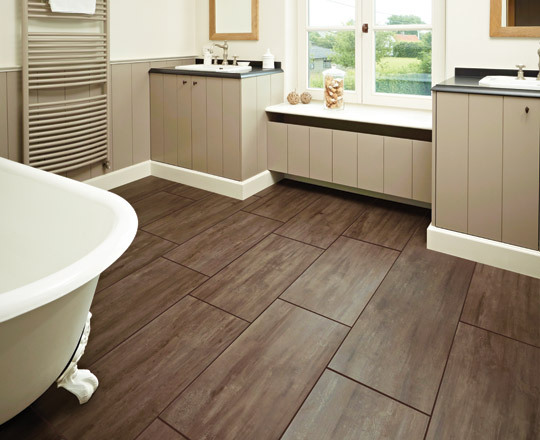 Unlike tiles, vinyl has the bounce factor and therefore fewer, if any, breakages which ultimately means you’ll make a huge saving on replacements alone. 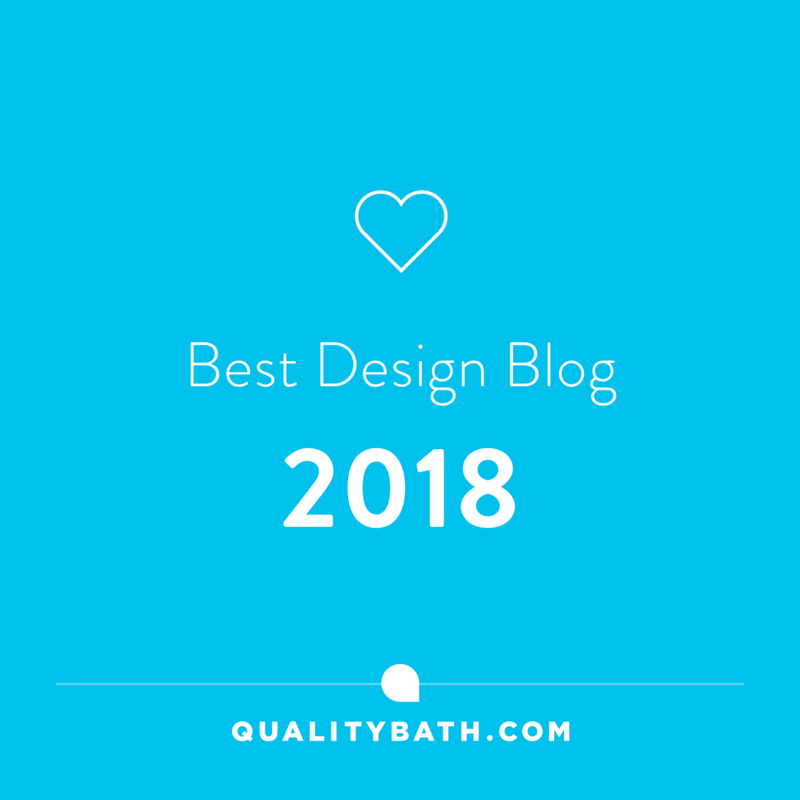 If you’re looking for affordability, there’s a chance you won’t have underfloor heating (although it’s not a problem if you do as most vinyl can cope with it). You’ll be pleased to know then that vinyl doesn’t get cold underfoot so your tootsies will stay nice and toasty during the winter months. 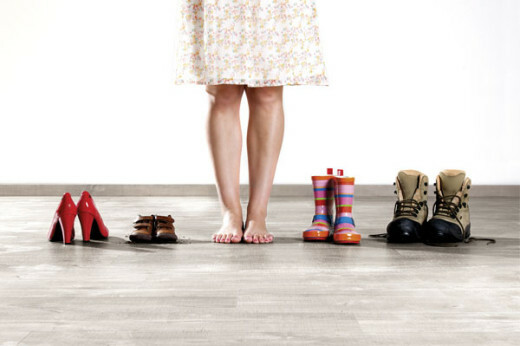 Vinyl is actually a great insulator, as we as being softer to walk on than hardwood flooring solutions. Vinyl flooring can be easier on the pocket as you don’t necessarily have to get the experts in so you save on laying costs. From as little as £5.99 m2, vinyl rules as the cheapest flooring option available, although it’s good to bear in mind, the more you can afford to pay the better the quality vinyl. 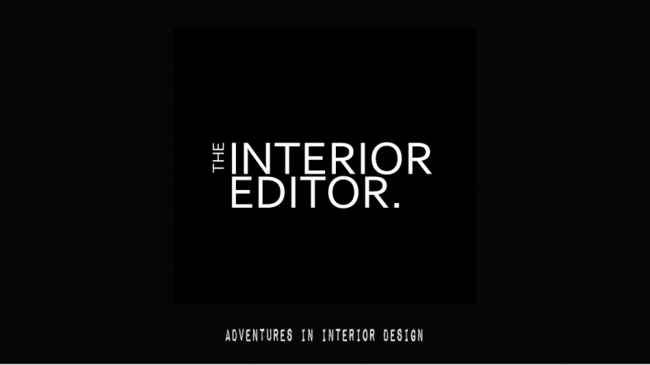 You don’t necessarily have to get the experts in to lay it either so it’s perfect for DIYers. Just make sure your subfloor is completely level and dry before laying vinyl on top of it. If in doubt, check out the many YouTube videos and other readily available information out there on the web to get you on your way. Printed vinyl tiles and sheets have a clear wear layer that acts as a surface barrier which protects your floor from stains and spills. Easy to maintain, it’s waterproof and slip-resistant. If properly installed and maintained, vinyl can last upto 10-20 years. Printed vinyl is only as durable as the clear wear layer that protects it. It will basically last less than solid or composite vinyl which is homogeneous as colours permeate every layer of it. 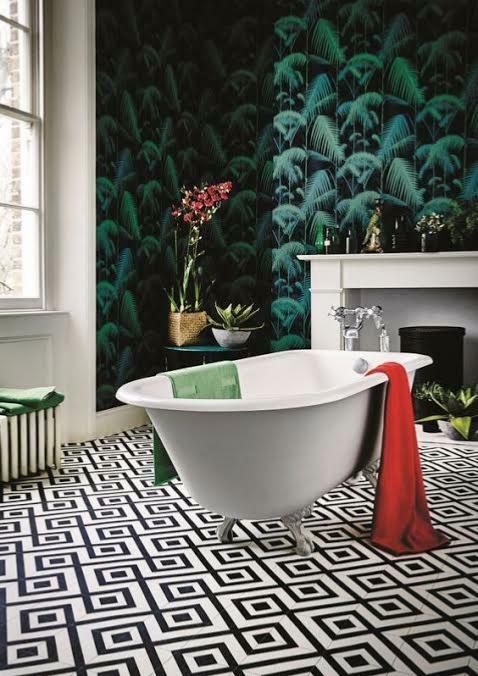 Another great advantage of vinyl tiles is that you can replace damaged tiles relatively easily, just ensure you order a few extra from the outset. 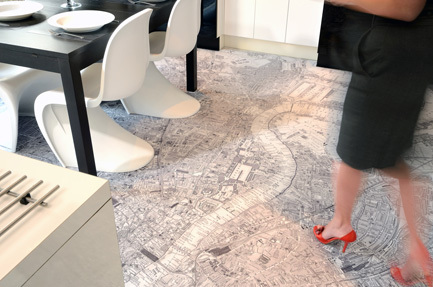 Vinyl flooring is perfect for those of you living in flats/apartments as it’s a great sound absorber so your neighbours won’t be calling around anytime soon. Open plan spaces also benefit from it too. (You can find out more about Sound and Open Plan Living here. You may have been put off by vinyl and it’s not so impressive past environmentally friendly credentials. 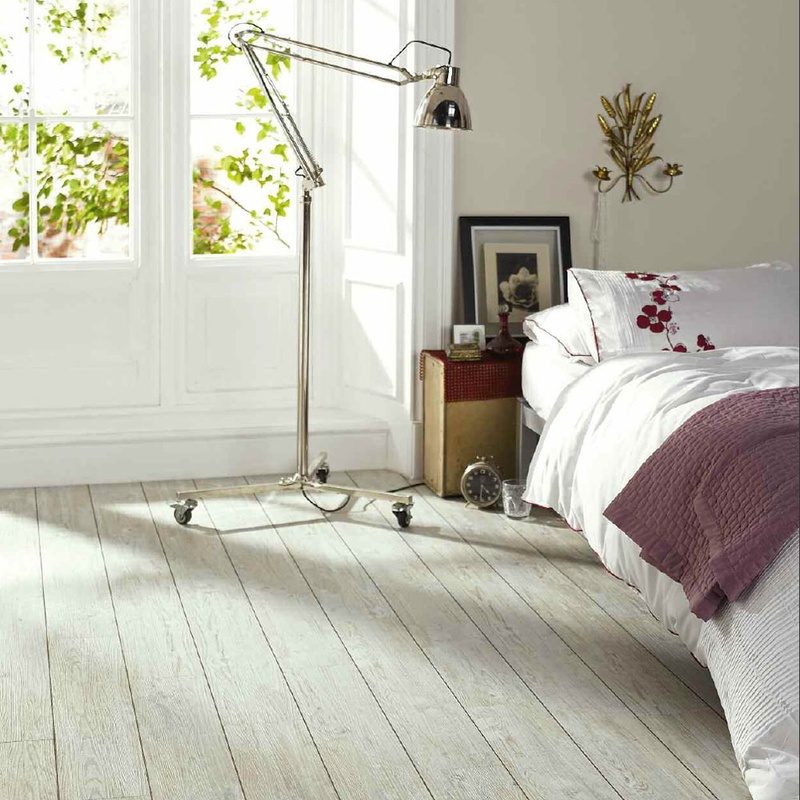 However, you’ll be pleased to know that there is some eco-friendly vinyl flooring available on the market today. There’s nothing stopping you from combining two vinyl flooring styles like this versatile Dee Hardwicke’s Lattice in Hay Field design which compliments the antique oak vinyl creating a contemporary and stylish look to any living space. It comes in 6 colour ways so there’s sure to be one that compliments your home decor. Manufactured using an eco-friendly formula and is ISO approved which means it’s better for our environment. Price: £44.80 m². Bold and dramatic, Granada adds a wonderful black and white pyramid design that would look stunning in any room. Perfect for bathrooms as it’s available as sheet vinyl. It’s also slightly cushioned providing comfort for your tootsies. Price from £16m². Right on trend Raval 1 by Zazous comes in 5 colour ways. I love this patchwork effect sheet vinyl which is perfect for a relaxed styled space. Price – £16 m². 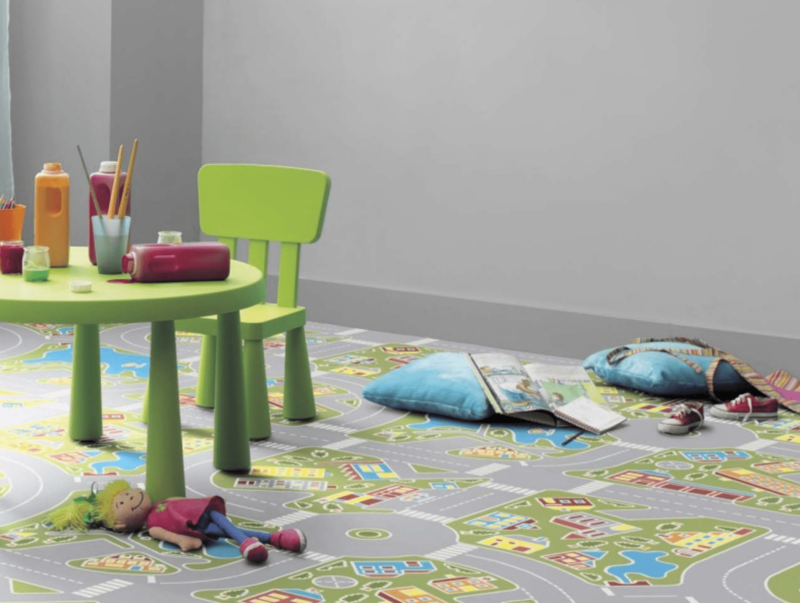 Lastly not forgetting the little ones with the 1603 Track Multicoloured Vinyl Flooring. Guaranteed to entertain your kids for hours as well as brightening up their room, whats not to like. It’s slip resistant and absorbs up to 17-20db of sound so you won’t hear a thing and because it’s easy to care for any spills can be easily cleaned up without fear of staining. Available in rolls of 2m, 3m and 4m widths. Price: £11.34 per m2. So what do we think, is vinyl a winner in your books?